I've never tried anything quite as unique as the line of Food Should Taste Good chips. We first opened up the Sweet Potato chips and they were AWESOME! I was pleasantly surprised at the flavor of the chips as well as the overall texture. They weren't like other chips that can be greasy feeling and super thin. They were more like a crisp, thick and crunchy. This bag didn't last long once everyone tried them, they were gone in less than an hour. Here are my impressions of the other variates we've tried. Olive - From the opening of the bag to the actual taste, these are exactly what they say Olive. I am personally not a fan of any kind of olive so I wasn't thrilled with these. If you like olives then you will probably like these chips too. Actually my 10yr old son liked these and he doesn't like olives either - so give them a try. Multigrain - Not what I imagined from the name, I was afraid they would be bland in taste, but they actually had a good flavor with the mixture of seasonings. Blue Corn - These were great paired with salsa. I am a big fan of Blue Corn for sure. Cheddar - I am actually eating these right now. So this is first hand information : ) These are great too! Great light cheddar flavor with a hint of other seasonings. I am really looking forward to trying the Chocolate now! All natural tortilla chips are made from real, simple ingredients. All of our chip varieties are free of cholesterol, preservatives and trans fat, and do not use genetically modified ingredients (GMOs). They are also certified Kosher and Gluten Free, lower in sodium, and are a good source of dietary fiber. The chips are available in ten varieties: Multigrain, Sweet Potato, Olive, Jalapeño, The Works!, Chocolate, Lime, Yellow Corn, Blue Corn and Cheddar. 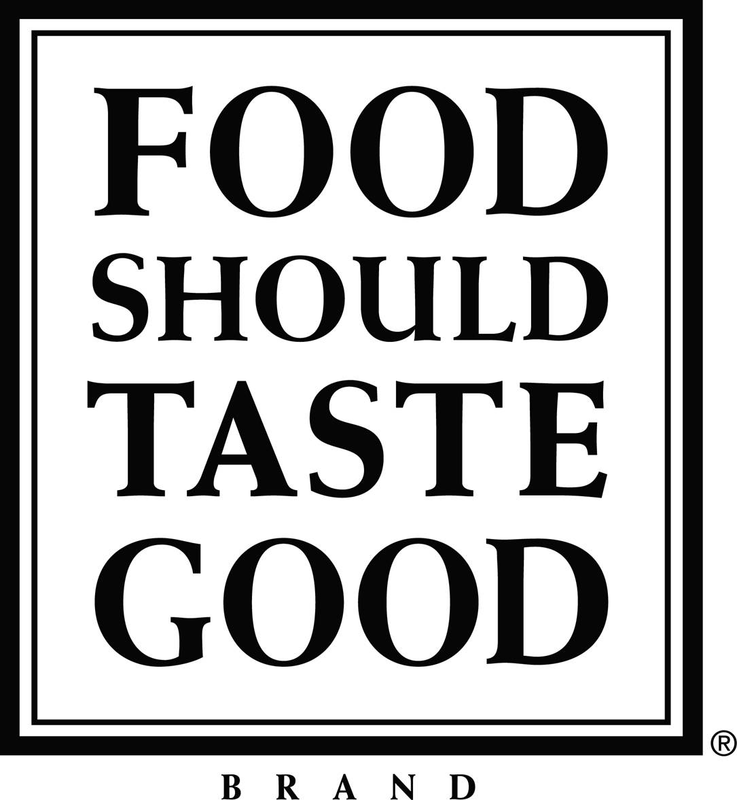 Visit the Food Should Taste Good website for offers nutritional information, a store locator, answers to FAQ’s, as well as a $1-off coupon! 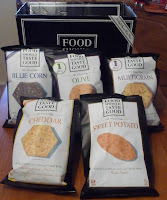 Win it: One lucky reader will win a sample box (5 bags of chips). This giveaway will end Feb 6th at 10 PM EST. The winner will have 48 hours to respond to my email. If no response, a new winner will be chosen. Open to residents of the US. 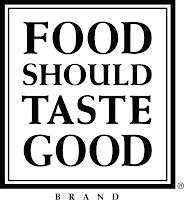 *Visit Food Should Taste Good and tell me the 5 kinds you'd like to try. Leave comment below, then use the form for extra entries. • Tweet this giveaway, you may use this or the link below (may be done once per day - please leave a comment with your tweet status link) "RT #win 5 Bags of Food Should Taste Good Chips HERE: http://t.co/gN5mKFr (Ends 2-6) #Giveaways"